This course is based on a four part executive MBA course on derivative pricing and risk management that Jawwad taught in Dubai and Singapore at the SP Jain School of Management. 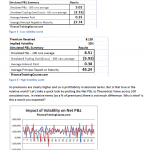 It includes one PDF study guide with six Excel files. 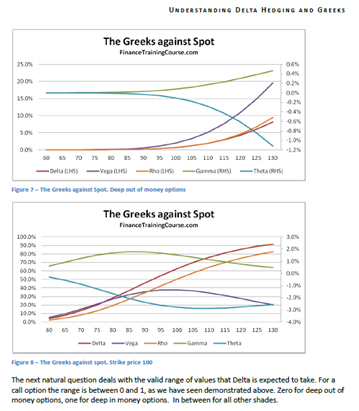 Themes covered understanding the difference between N(d1) and N(d2), the Black Scholes model, Greeks (Delta, Gamma, Vega, Theta and Rho), Hedging higher order Greeks using Solver, Volatility Surfaces, Delta Hedging and P&L distributions for a vanilla call and put options. 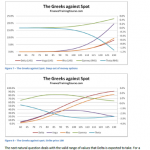 The value pack includes the content of the Hedging higher order Greeks and Delta Hedging study guides. Primary lessons have been compressed into short bite sized pieces. There are some equations, but much time is not spent on them or their derivations. Ground rules, behaviour and intuition however are discussed. For instance, a trader is more likely to ask you about how Gamma is going to behave under a given scenario and how that is different from Vega’s reaction rather than ask for the formula. He or she is more interested in how you think, your ability to grasp a concept and your intuition than your memory. The methodology followed, therefore, is to present EXCEL models with the text – read the chapter, dissect the model, load up on intuition. Repeat. Deriving numbers and plotting graphs ensures that the intuition behind how Greeks work is retained. 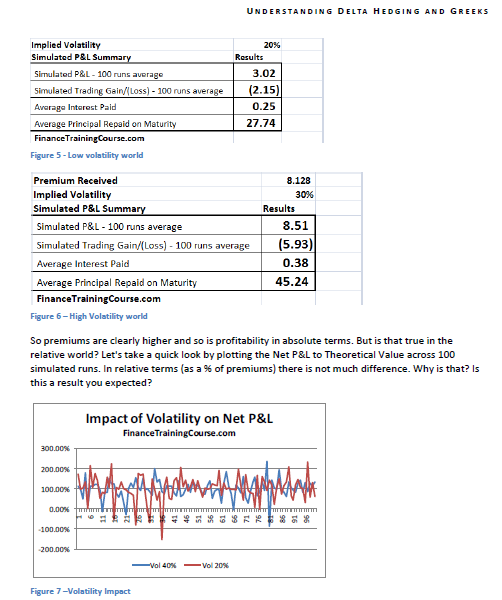 This study guide walks through option price sensitivities and Greeks behaviour and plots the same in EXCEL. 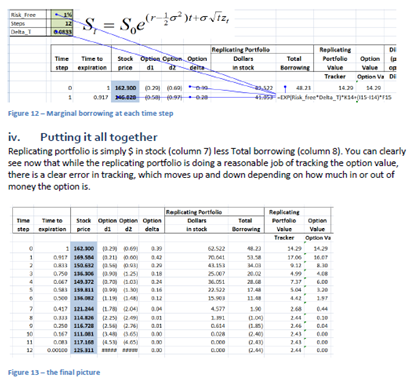 It presents a dynamic Delta hedging simulation and uses a Cash P&L simulation to dissect the minor Greeks. 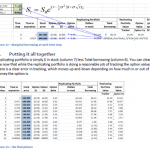 The course includes 6 EXCEL files that demonstrate the calculation of Greeks and Delta Hedging for European call & put options. A choice of including of excluding the option premium in determining the amount borrowed at inception. In this case the Principal repaid will equal the gain (loss) if the option is not exercised. A choice of including or excluding the option premium in determining the amount borrowed at inception. 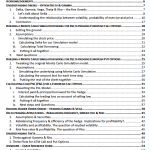 In this case the sales proceeds from short sales will equal the gain (loss) if the option is not exercised. The three other files include Hedging Higher Order Greeks (Gamma and Vega) using Solver. Building a volatility surface for NVIDIA using Dupire’s formula and Understanding N(d1) and N(d2) a simulation based approach to understanding the difference between the two probabilities. 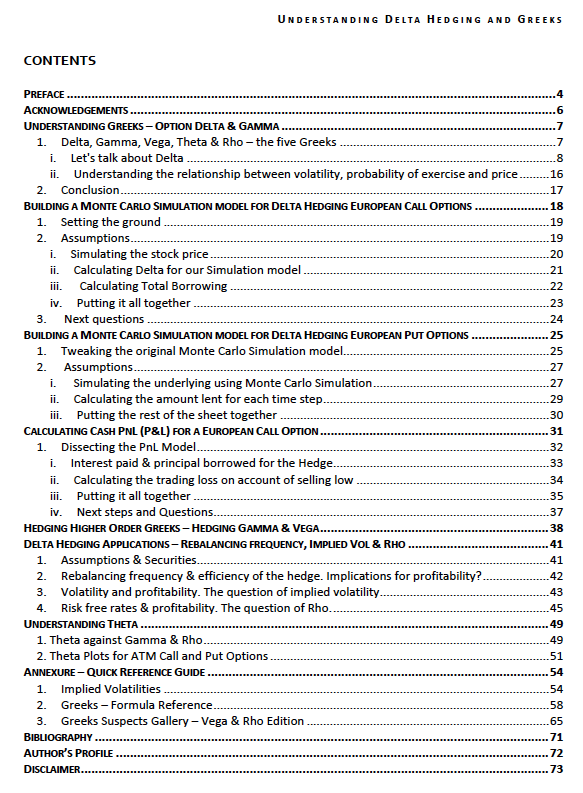 Some familiarity with basic derivative products and their pricing, Monte Carlo simulation, basic mathematics, statistics, probability and EXCEL. The course is aimed at professionals who deal with pricing, valuation and risk issues related to structured fixed income and foreign exchange transactions.